In previous blogs, we have discussed clinical indicators for providing dynamic movement at the hips and knees. 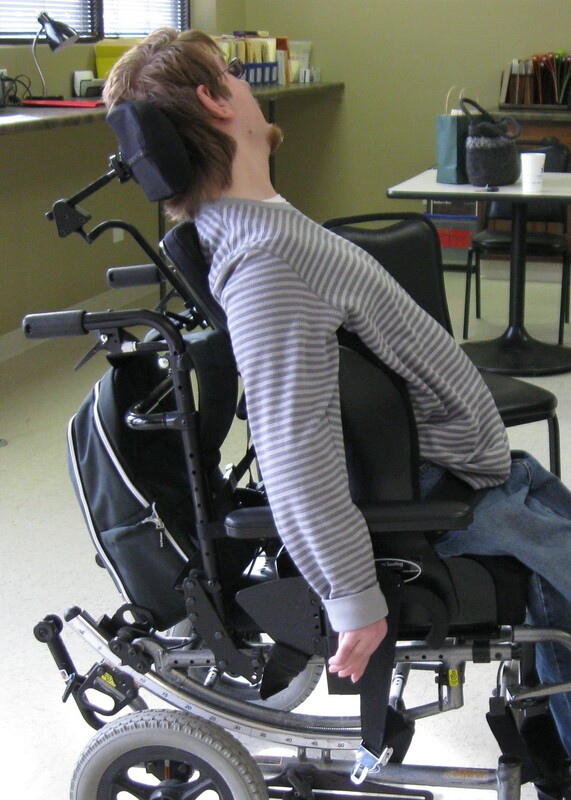 Another location dynamic movement can be provided is at the neck through Dynamic head support mounting hardware. Most dynamic options allow movement into neck extension and then facilitate return to an upright and aligned posture. So when is a dynamic head support clinically indicated? First, dynamic components can prevent movement of the wheelchair head support out of alignment and even prevent damage to the head support mounting hardware. Some clients extend with such momentary, repeated, or chronic forces that the wheelchair head support hardware actually breaks. By absorbing and diffusing forces, the head support remains in position and is protected from damage. Second, if the client is exerting enough force to break head support hardware, we can assume that the client could injure their neck or even the brain. The force exerted against the wheelchair head support can be as great as forces occurring in sports collisions, which can lead to concussions. Third, by absorbing and diffusing force, overall extension may be reduced. A dynamic head support can also be used in combination with a dynamic back and dynamic footrests to absorb and diffuse forces at multiple areas for greater impact. What about contra-indicators? Some clients respond to any neck extension beyond upright with postural insecurity, a startle response, a Moro response, or other reflexive responses. If the dynamic component allows a large amount of movement, the client may even injure their neck by extending excessively beyond the back of the seating system. Check out our next blog to learn how dynamic head support design addresses these clinical issues!